We are proud to present a collection of illustrations of Mateusz Skutnik,one of the most prominent comic artist in Eastern Europe. 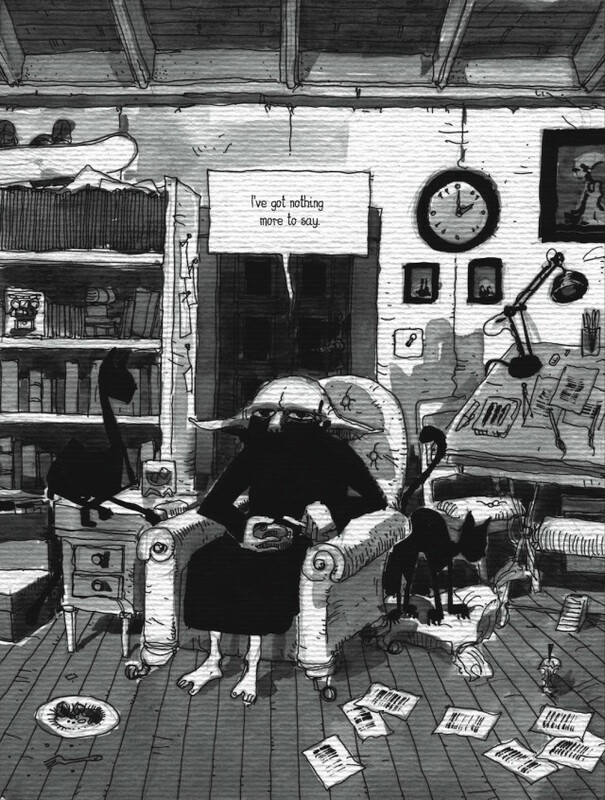 The exhibition will show the story of Blacky – a middle-aged guy living in a big city, growing older and being a parent. It is a funny and thought-provoking collection of bittersweet observations. 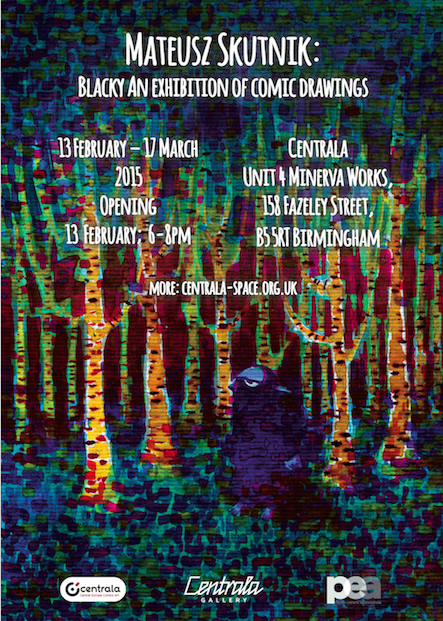 Place: Centrala Gallery, Unit 4, Minerva Works, 158 Fazeley Street, B5 5RT Birmingham.